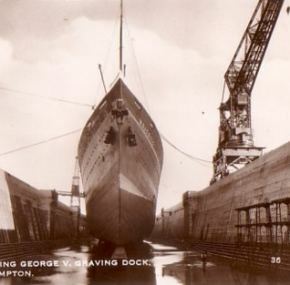 Bow-on real photo post card of Majestic in the King George V Graving Dock. 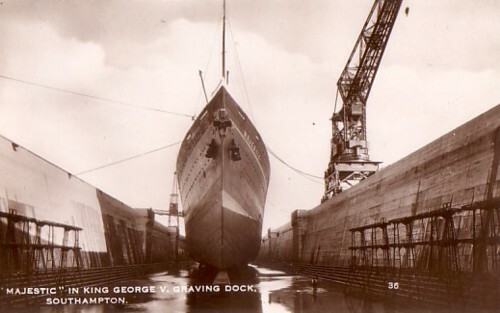 These appear to be a part of a set taken all during the same dry docking. This image is number 36 in the set. Unused and in excellent condition.